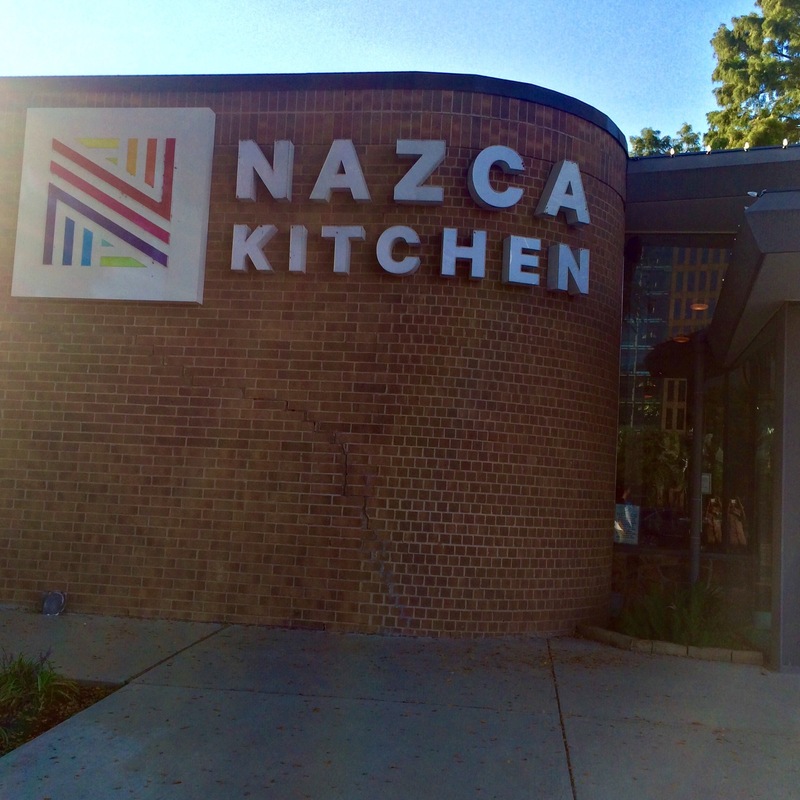 Nazca Kitchen is a restaurant centrally themed around South American style dishes. The diversity alone makes the choices oh so vast! They have everything on the menu from Ceviche (which I still need to try) to Cuban Pork Sandwiches. 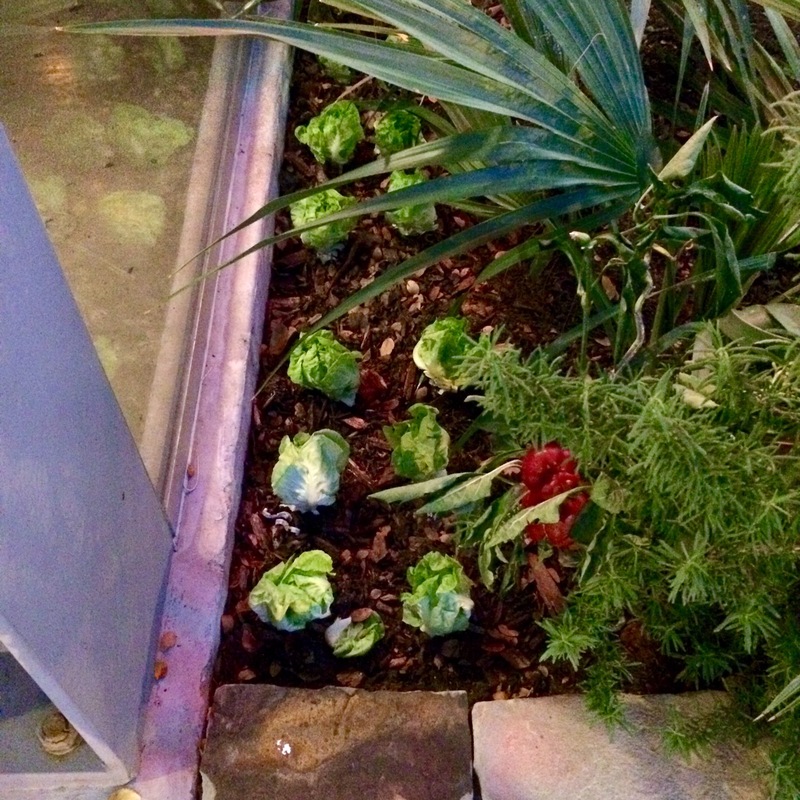 When first walking up to the restaurant, off to the right is this cute inconspicuous garden of what looked like butter leaf lettuce heads and a small red bell pepper plant. Just a little further to the right is a sculpture of some sort. 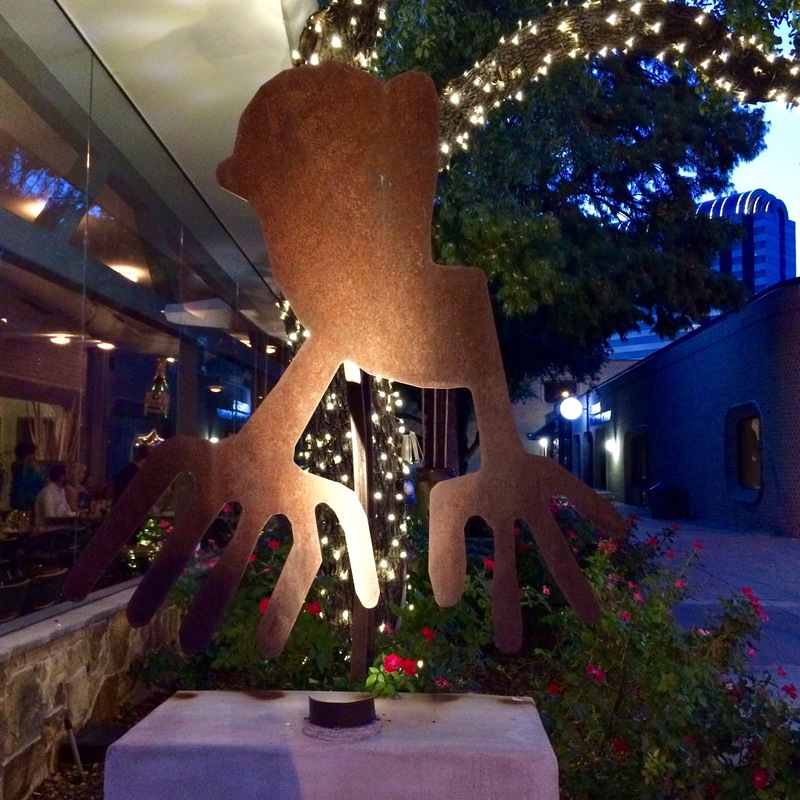 It definitely seemed abstract except for the “arms” which resembled forks to me. 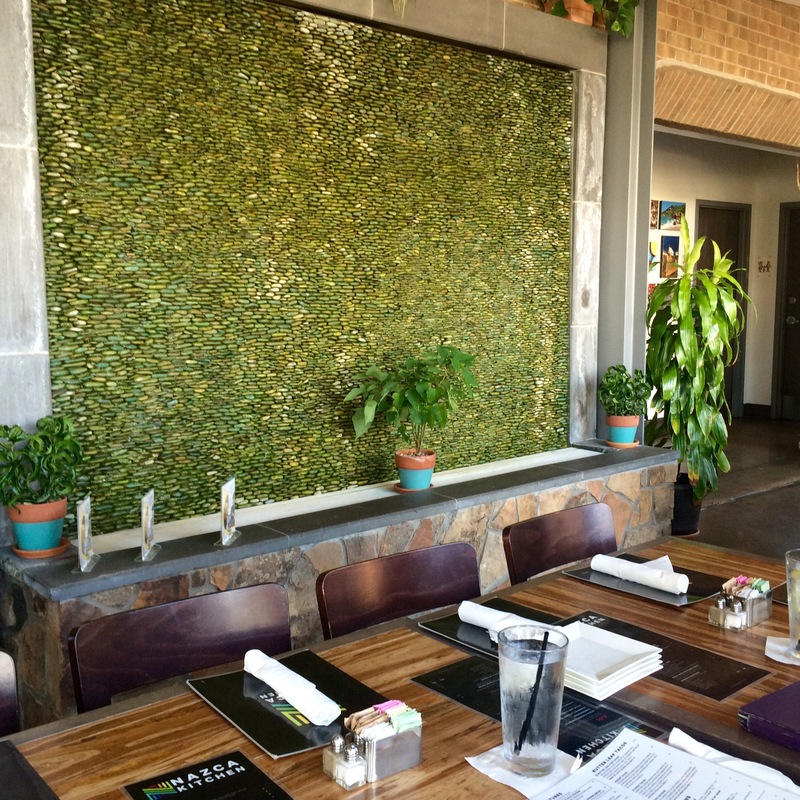 Once you step inside the decor and atmosphere seems fresh and lively. We sat next to large windows with a wall waterfall adorned with smooth stones as our backdrop. It was very peaceful and nice to look at. The menu had a good amount of choices. Hubby and I were eating Vegan this particular month so we had limited options to chose from. 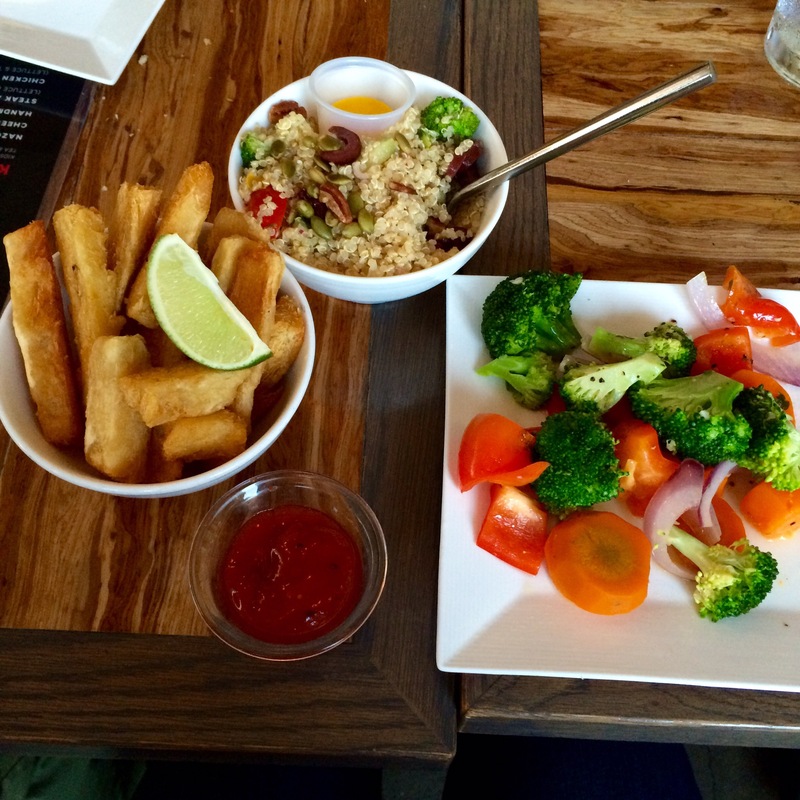 I had the Quinoa Salad, Yucca Fries, and Steamed Vegetables. The Yucca was a favorite dish for me. They taste almost identical to potatoes in flavor and texture. Although they look intimidating at Central Market, maybe next time I’ll dabble lol! The Quinoa Salad was also a nice pop of flavor. I think quinoa itself is a fun texture so I enjoy eating anything that has it. The pop of olives and crisp broccoli was a great flavor and textural contrast. Overall I give this spot a thumbs up. Even though I didn’t get to eat what I really wanted on account of our vegan base this month, I still enjoyed what I had. I just know that next time I come I’m going straight for the Ceviche!!! Previous Tasty’s Is In The House!